Fortify their strengths and work on their weaknesses. Sometimes, you can use the reward system to motivate children and help them concentrate and finish their tasks. When it comes to a child’s learning curve, parents tend to play a significant role in encouraging, fostering and enhancing their child’s abilities, says Richa Shukla, content expert, Sesame Workshop, India. Anubha is one of many mothers who cannot get her son, Arun, to concentrate on one activity. It seems that Arun, keeps hopping from one thing to another, distracted and unfocussed. He gleefully seizes the next thing that comes his way, leaving the activity he was previously engaging in, unfinished. His room is a plethora of incomplete projects, games, books, drawings, etc. Anubha wonders in despair how she can woo her son to complete at least one task. This is a dilemma that is faced by many parents who often struggle to build their child’s attention span. 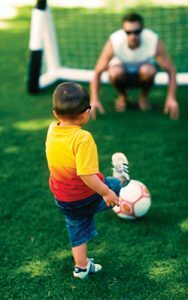 SET A ROUTINE : If a habit of following a routine is inculcated at an early stage, a child can get used to it. Routines enable habit formation and time management, making a task at hand a whole lot easier. For example, if a child knows that he has to complete his homework by five o’clock every day and can then proceed to go outside and play outside till the clock strickes seven o’clock, only then will he be mentally prepared for it. Helping a child by allotting a specific time period in which the task has to be completed will help in streamlining his thought process and enable him to stay focussed. As parents, you must remember to be there to help and support your child, and perhaps even give him examples of a task he once found difficult, but eventually managed to grasp. Providing a little nudge and words of encouragement in the right direction, can go a long way! MAKE LEARNING FUN: It is important to make learning a fun time for your child. While it’s important to stick to a routine, steering clear from the mundane can keep things interesting, and might even excite your child. For example, if the aim is to help your child identify numbers better, you can try reciting rhymes and songs about numbers. Floor games like ‘hopscotch’ can be a fun and effective way, too. While at the grocery store, you can ask your child to read out prices and quantities to you. This way, while the learning outcomes are achieved, you’ve kept the lessons fun, exciting but more importantly, different from the day before. STAY ON TASK: In order to keep children motivated, make them understand why they have to follow a routine. Encourage them and help them find meaning in their work. Urge them to understand how important their work is for their self-esteem. Cheer them on and encourage them to take pride in what they do. Fortify their strengths and work on their weaknesses. Sometimes, you can use the reward system to motivate children and help them concentrate and finish their tasks. 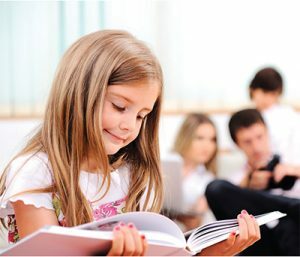 BUILD READING HABITS: Read stories to your child regularly. Establish a reading routine, a specified reading time. 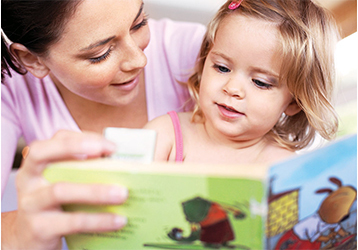 Read stories out aloud to your child. This will help improve a child’s vocabulary, sentence construction and communication skills. DELAYED GRATIFICATION: An essential skill that must be taught during the early years is delayed gratifi cation. It highlights how one must remain patient and wait to earn something of value. It helps children understand the concepts of restrain, patience and control. BEYOND CONVENTIONAL LEARNING: Let learning extend beyond the school and home. For example, when you and your child are spending quality time together, or are out shopping, challenge him to identify all green coloured objects or all objects which begin with the letter ‘A’. Naturally, you need to set a timeframe and make a game out of it. In this way, learning is also made much more fun and practical. A child’s early years are the learning and habit-building years of his life. Whatever a parent demonstrates, a child imbibes. Whatever a parent says, a child believes. Therefore, it is crucial to be a positive role model for your child. This way he will be empowered and equipped with the required knowledge, strategies, and skills to take charge of his own educational journey.